A crucial part of the complete skylight system. VELUX flashing systems are designed to shed water without relying on sealants that can break down over time. 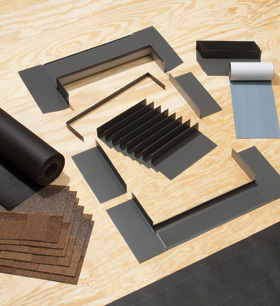 We offer a variety of flashing systems to ensure a weathertight fit for virtually all roof types and slopes.